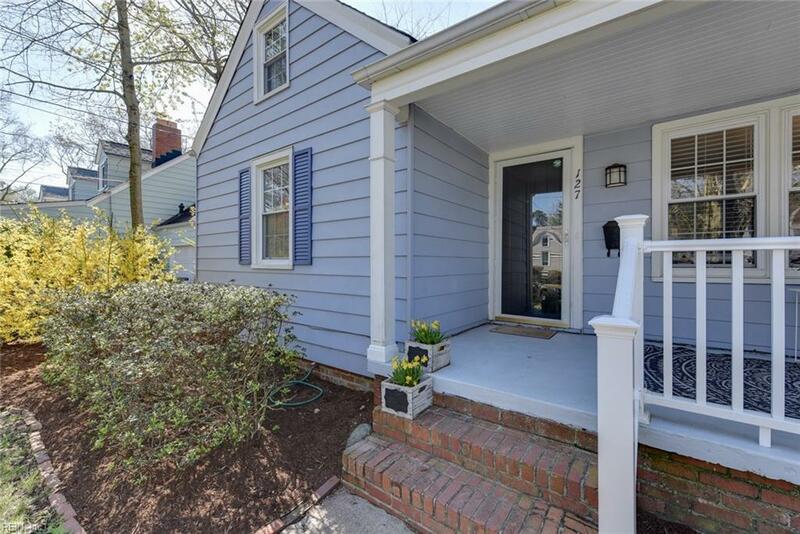 127 Elwood Ave, Norfolk, VA 23505 (#10250165) :: Abbitt Realty Co.
Move-in ready Cape Cod style home on a tree-lined cul-de-sac with plenty of charm! 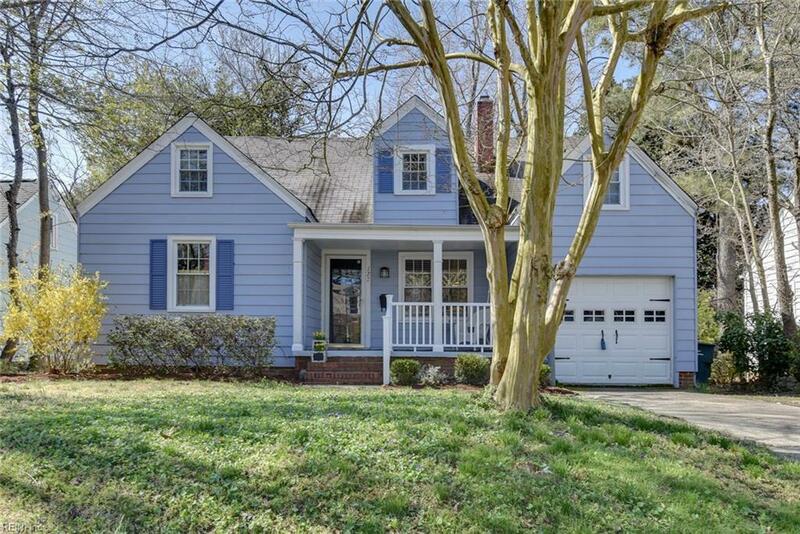 Enter to original hardwood floors, open views to the rear of the house, and decorative details such as built-in bookcases and wainscoting in multiple rooms. The remodeled kitchen features 42" white shaker-style cabinets, stainless steel appliances, and river washed granite countertops. The first floor includes an owner's suite with bathroom, and an additional bedroom and full-sized bathroom. 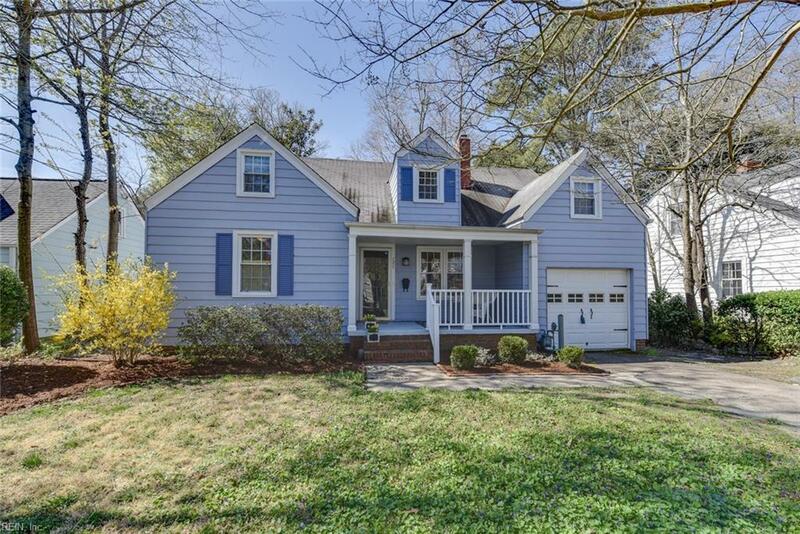 Head upstairs to find two more bedrooms and a large-size media room, as well as another full-size bathroom complete with new tile and cleverly disguised access to attic storage. 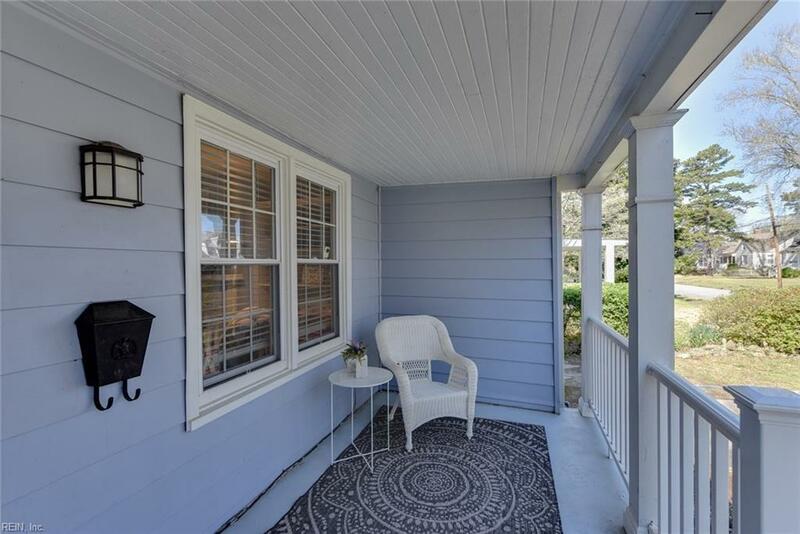 Three more delightful spaces outside: a shady front porch, a screened-in deck with ample entertaining space, and a brick-paver patio nestled in the backyard with surrounding privacy fence. Home is elevated on a quiet street with nearby access to neighborhood walking trail and Wayne Creek. Don't miss this opportunity!